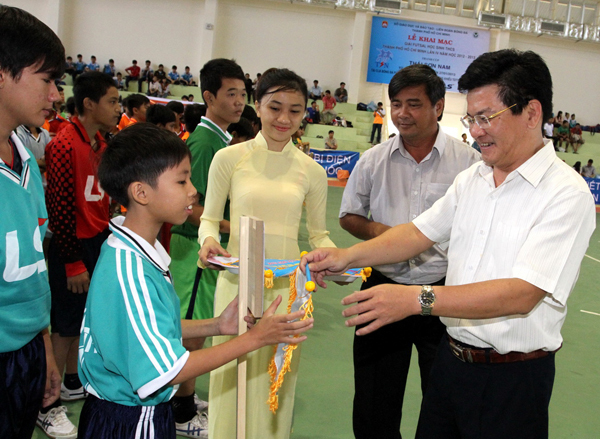 On the morning of January 6th, 2013, the opening ceremony of the 4th Futsal Secondary School Championships – Thai Son Nam Cup was held. 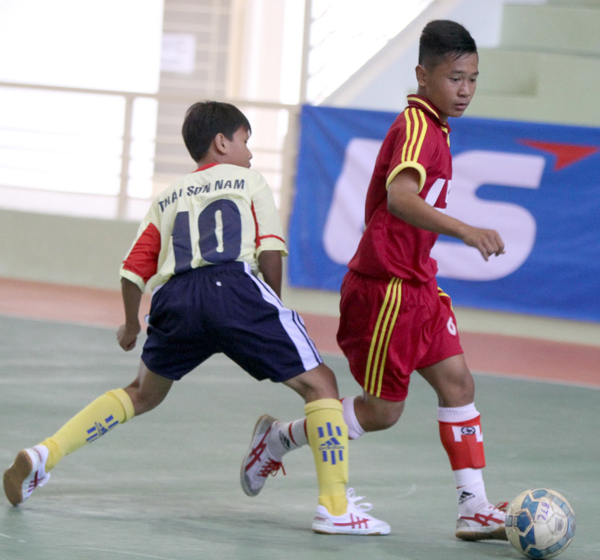 The tournament will take place between January 6th and January 27th, 2013. 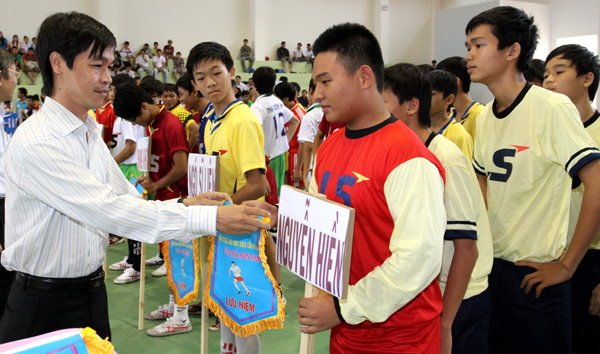 32 HCMC teams will participate in this annually tournament. 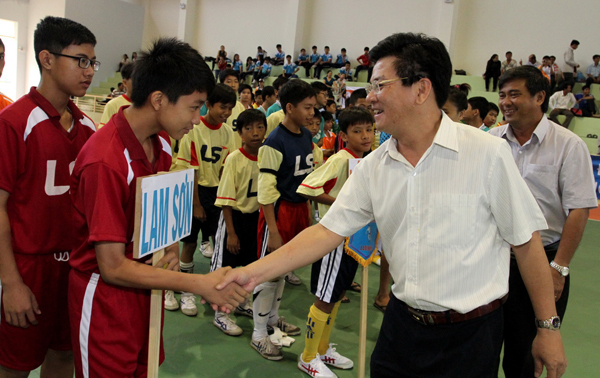 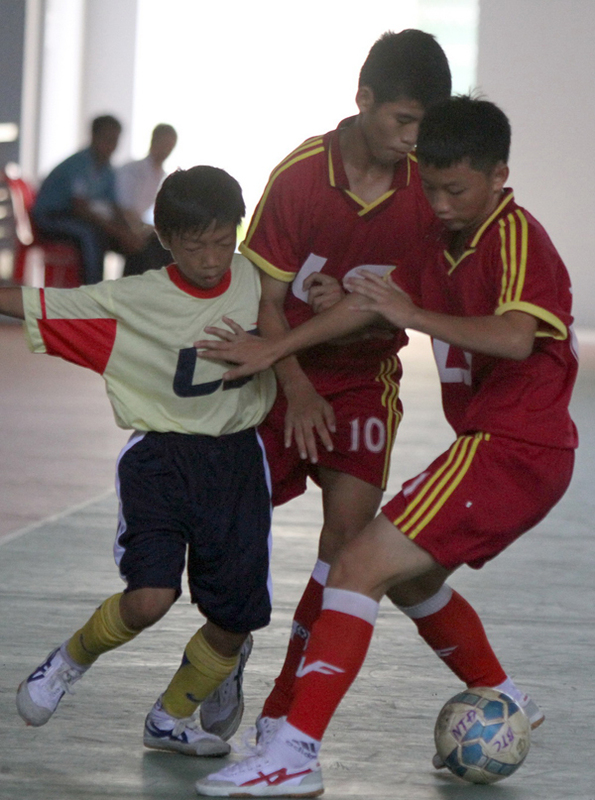 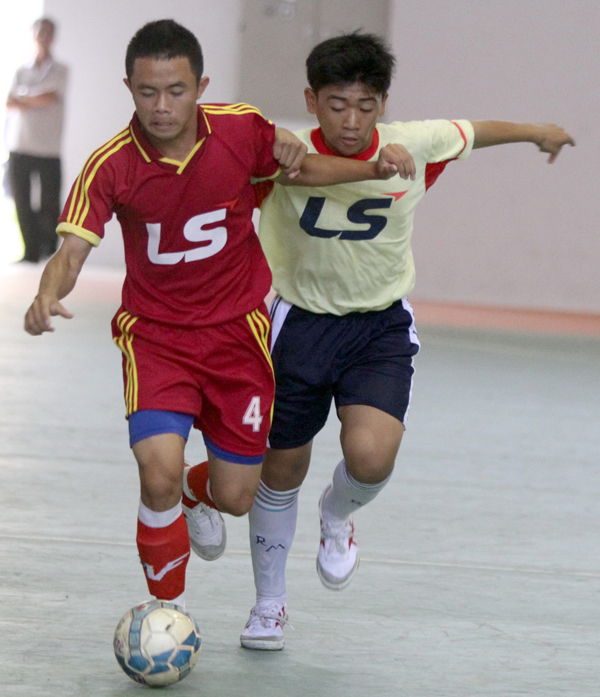 Futsal Secondary School Championships is conducted to promote the movement: “Friendly schools – Active students in 2008 – 2013 periods conducted by the Ministry of Education and Training. 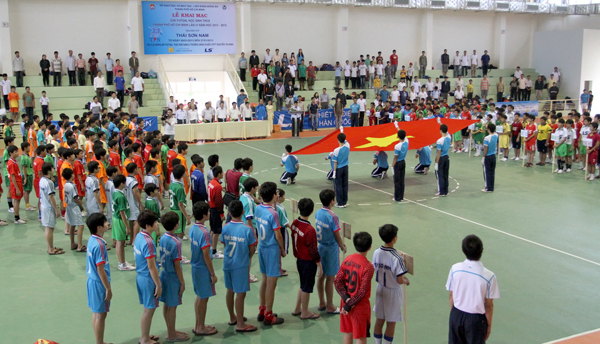 Therefore, this tournament is held to maintain and promote the sport spirit for HCMC students, contribute to the movement of good health, building and defending for the fatherland”. 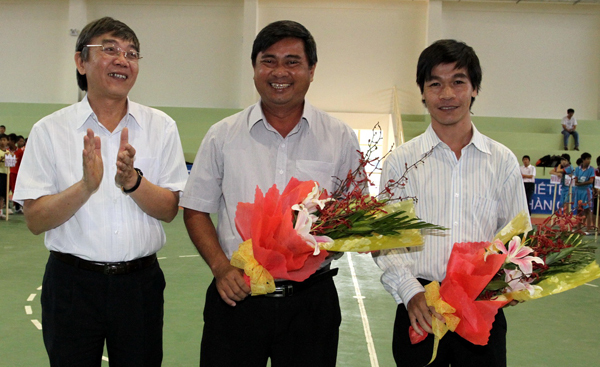 HFF (HCMC Football Federation) cooperates with the Department of Education and Training, sponsored by Thai Son Nam Company, in order to upgrade and develop the qualify in practicing and training indoor football (Futsal) for the coaches and secondary students. 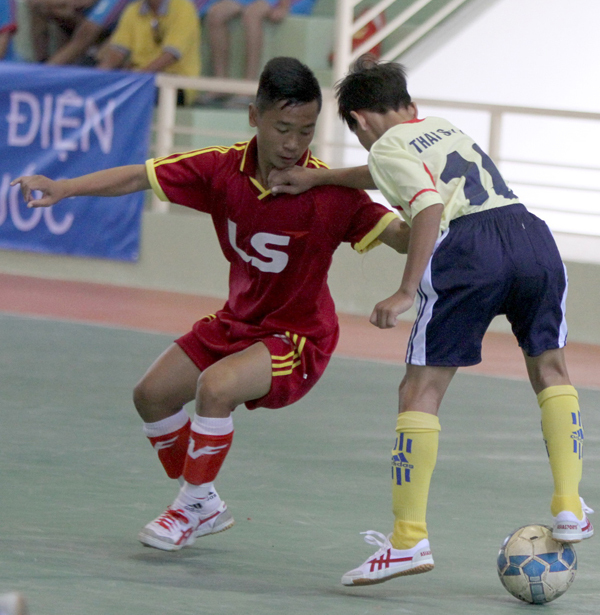 Moreover, young talented players will be detected and developed for HCMC Futsal in particular and Vietnam Futsal in general. 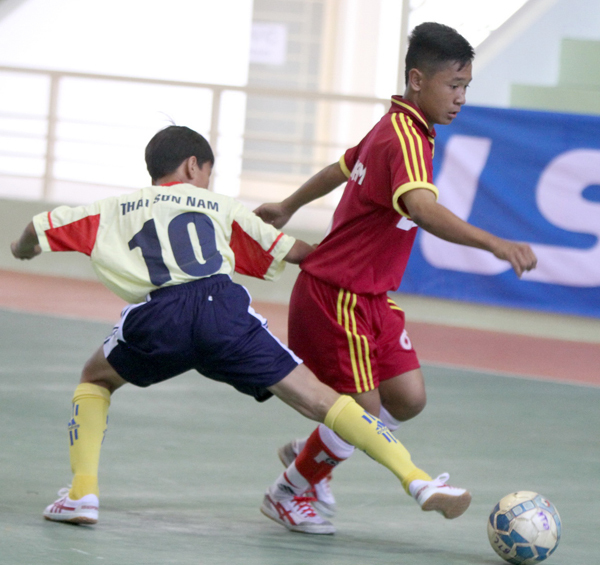 The current format of the tournament involves 32 teams divided into 8 tables, competing in one turn. 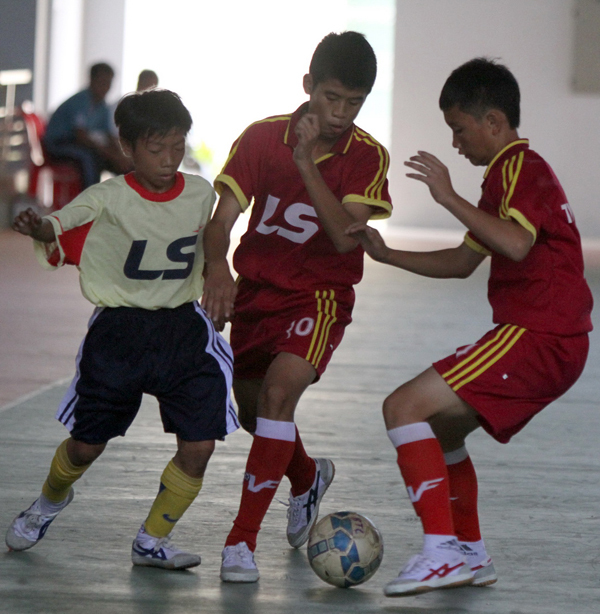 The teams go to the first and second places will compete in round 1/16, then quarter-finals, semi-finals and the final. 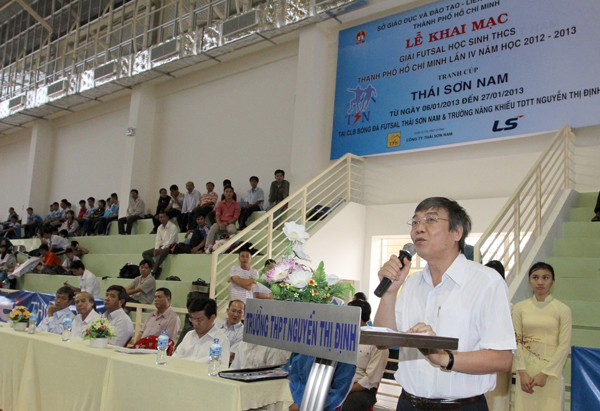 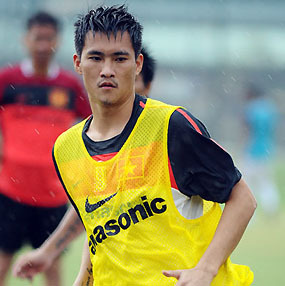 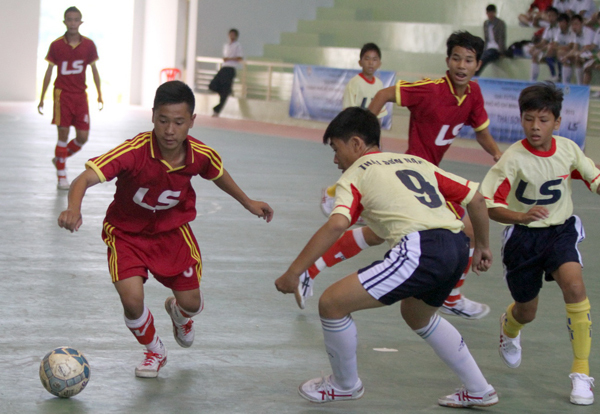 The tournament will be hosted in Thai Son Nam and Nguyen Thi Dinh School Arena. 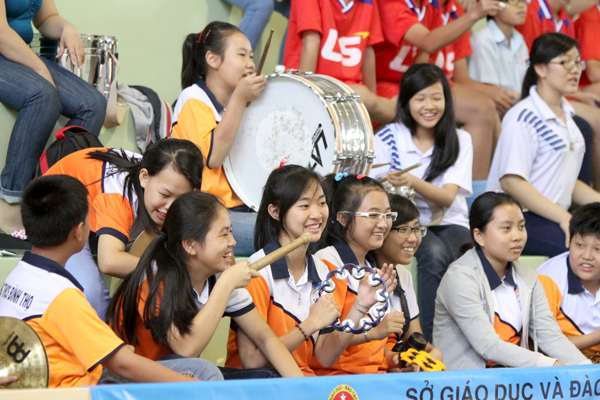 In terms of awards, the champion will receive Cup, medals, trophies and 7 million VNĐ. 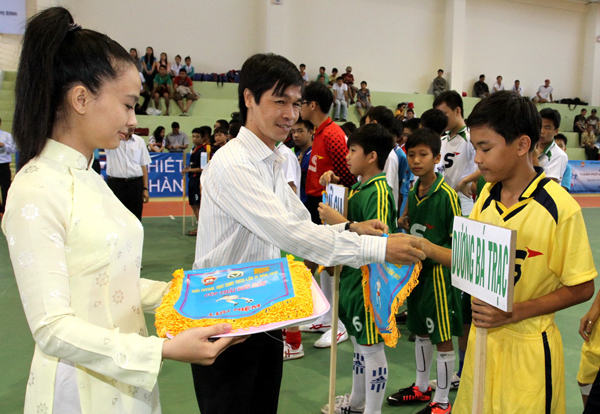 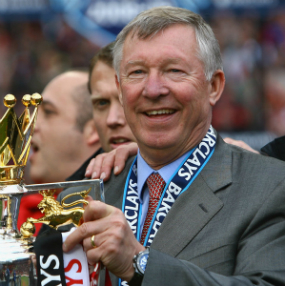 The second receives medal, trophies and 5 million VNĐ. 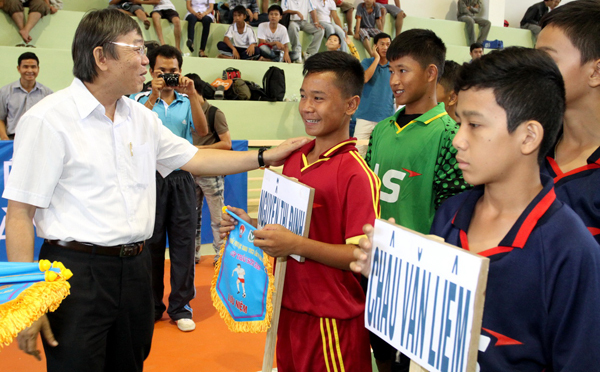 Medal and 3 million VNĐ for the third, medal and 2 million for the fourth. 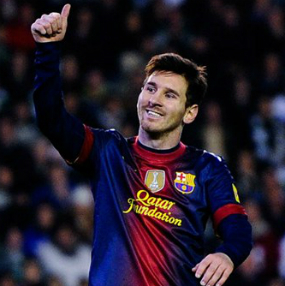 Besides, there are many other awards such as: the style team, most cheering team, best scorer and best goalkeeper. 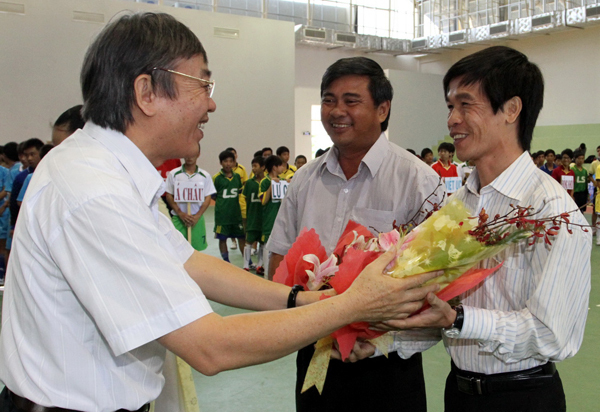 Mr Tran Khac Huy – Head of Student Department and Mr Tran Dinh Huan – HFF General Secretary encourage teams.